Employers question use of medical cannabis by employees. potential of discrimination against those who legally use it. rights attorneys have begun to receive questions from business owners. component that makes users feel “high.” The Iowa House of Representatives on March 26 approved a bill to change this percentage to an amount of 25 allowable grams per patient every 90 days. health care practitioner examines the patient. The practitioner must certify the person has one of the qualifying conditions. marijuana. Iowa law requires the practitioner to annually examine the patient to ensure he or she still qualifies for medicinal marijuana. Application for a medical cannabidiol card is made to the Iowa Department of Public Health. There are currently 1,725 cardholders in the state as of March 1, according to the department. These individuals cannot be prosecuted for use or possession of medical marijuana, according to Iowa law. Several organizations, including the Institute of Medicine and the National Academies of Sciences, Engineering and Medicine have released reports since 1996 when California was the first state to allow the medical use of marijuana. In those reports, the authors have discussed marijuana health research and verified findings that the use of cannabinoid drugs, primarily THC, relieves pain, controls nausea and vomiting, stimulates appetite and alleviates some symptoms of HIV/AIDS, cancer, glaucoma and multiple sclerosis. The Institute’s report indicated smoking marijuana can deliver harmful substances. Another report in 2017, from the National Academies of Sciences, Engineering and Medicine, reviewed more than 10,000 scientific abstracts from marijuana health research since 1999 and verified these findings. What’s the likelihood of testing positive? 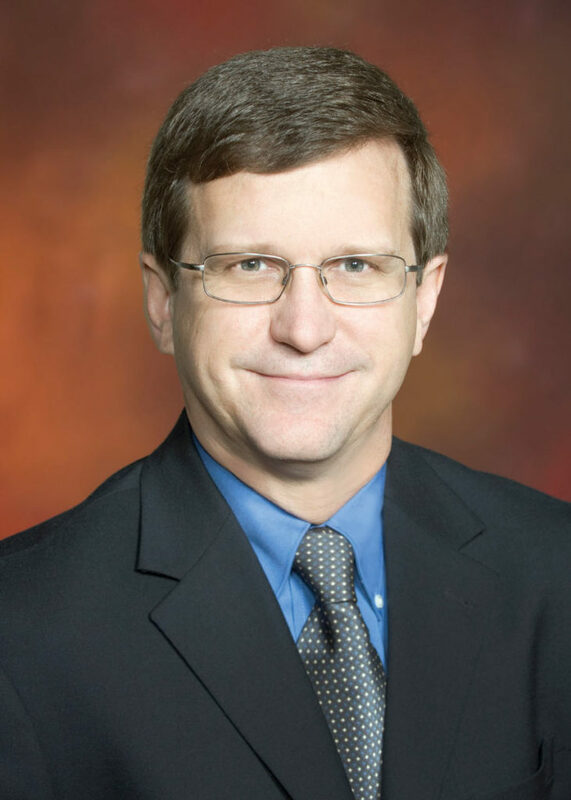 Dr. Barry Sample, senior director of science and technology for Quest Diagnostics Employer Solutions Business, says the level of THC that is detectable in a urine drug test is dependent upon how much users take, when they use it and the frequency in which they consume it. frequency, one would be expected to test positive,” he says. According to Iowa law, medical cannabidiol cannot be smoked. Oral forms such as tablets, capsules or liquids; topical forms such as gels, creams or patches; nebulizers; and suppositories are allowed. Vaporization will be legal as of May 15, according to the public health department’s website. Quest Diagnostics conducts thousands of workplace drug tests in central Iowa and throughout the state. Most employers who conduct drug testing for prospective or current employees are still doing soand checking for marijuana. In 2016 and 2017, 99 percent of urine drug tests included marijuana in testing panels. (Quest Diagnostics will release 2018 numbers later this month.) Businesses, unless regulated by federal law, have the option to choose which prescription and recreational drugs to include in their drug testing. What is the employee, employer required to do? Despite legalization of medical marijuana in Iowa and 33 other states, it remains a Schedule I drug with no legal use under federal law. There are two types of employees: regulated and unregulated. The U.S. Department of Transportation, under federal law, requires regulated employees, specifically safety-sensitive transportation workers such as pilots, school bus drivers, truck drivers, train engineers and others, to undergo testing for marijuana and other drugs. Iowa lawmakers approved medical marijuana in 2017, but there were no manufacturers or dispensaries ready to make or sell the products until December 2018. As a result, the statute hasn’t been tested in Iowa courts, and it’s difficult to predict the legal risks of employment based on an employee’s legal use of medical marijuana, Katelynn McCollough, a labor and employment attorney with Davis Brown Law Firm, wrote in a November blog post. McCollough writes that the new medical marijuana law raises questions about whether to hire an individual or fire an employee if he or she tests positive for marijuana. Many employers have drug-free workplace policies and require drug tests for prospective employees, routine drug tests for current employees or a drug test after an accident. Iowa employers can continue to use their drug-testing and anti-drug policies in the same way they did before the legalization of medical marijuana in the state, says Patrick Smith, an employment attorney with Fredrikson & Byron P.A. A legal issue arises when an employee who has one of the qualifying conditions is protected by the Americans with Disabilities Act (ADA) because of his or her disability or illness, he says. “To terminate an employee who tests positive but complies with the medical marijuana law could support a common law wrongful discharge claim,” Smith wrote on the Iowa Employment Law Blog, which he oversees. Even with the law behind them, employers could still be in a precarious position. The Colorado Supreme Court in 2015 held that an employer has the right to fire an employee who tested positive for marijuana that was used for medical purposes. Because marijuana is still illegal under federal law, the court ruled the employer could not be sued. A federal court in Delaware more recently ruled the opposite and determined a terminated employee could sue under a state statute that prohibited discrimination in employment against someone who used marijuana for medical reasons. Smith, whose employer clients have asked for his advice on the topic, says employers have the option to waive the normal rule — even if they have a zero-tolerance policy — but will likely need to consider the employee’s position and ensure there are no potential safety hazards such as climbing a ladder or driving a forklift. 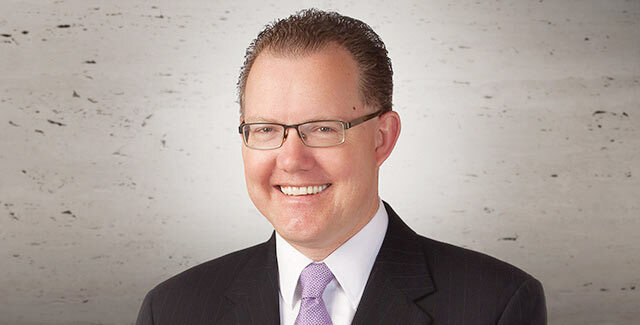 Patrick Smith, an employment attorney with Fredrikson & Byron P.A., has been advising his employer clients about medical marijuana use by employees. Many employers are keeping their testing and drug-use policies the same. Prospective or current employees also could notify their employer that they are likely to test positive and show their medical marijuana card, Smith says. However, employees are not required to notify their employer of the use of medical marijuana. “Unless they have info from the employee in advance, if it’s a positive screen, they need to treat it like they would anything else,” he says. Employers can’t pry and ask medical questions. They can only issue a general notice to employees to notify the employer if they have a condition that qualifies as a disability and need a special accommodation. • Pause before taking action if an employee or applicant tests positive for marijuana. Engage with the employee to find out if the condition qualifies as a disability under law. If it does, consider whether to waive the drug-free workplace policy as a reasonable accommodation. • Revise all job descriptions to ensure safety-sensitive positions are clearly identified. If the person who tests positive performs a safety-sensitive job, waiving the policy may not be reasonable. • Continue to act in cases where there is evidence of intoxication or impairment. Having a medical marijuana card does not give the employee the right to be impaired at work. Remember, there is no test to determine when a person is legally impaired from marijuana use. • Train human resources personnel and all supervisors on how to handle perceived violations and testing to avoid knee-jerk reactions to positive marijuana drug tests. • Make sure the drug-testing policy is part of the collective bargaining agreement for unionized employees. 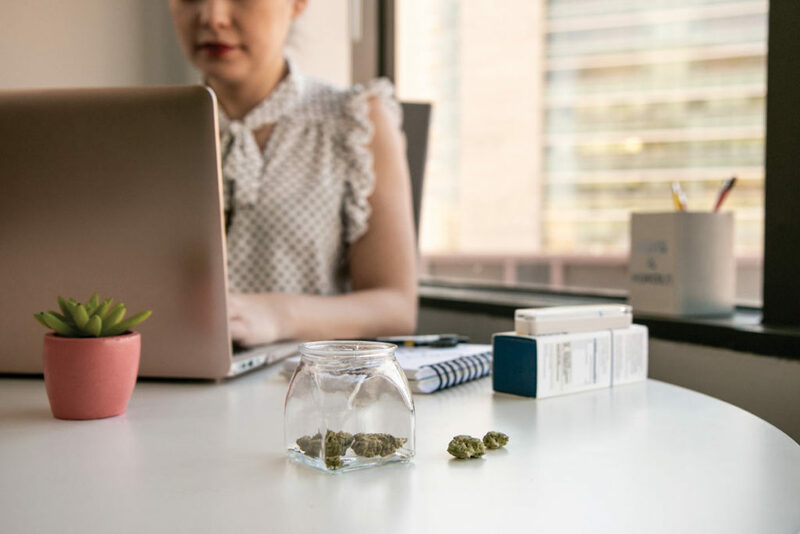 The Society for Human Resource Management recommends employers review their state laws on discrimination against marijuana users to ensure policies are consistent with state law, but that they continue to comply with federal regulations. SHRM, the world’s largest HR professional society with 300,000 members in 165 countries, also recommends employers review drug-use and drug-testing policies to ensure they clearly explain expectations regarding impairment, marijuana use outside of company time and drug testing. Business owners will have to be consistent with procedures and make it clear whether or not they’ll ban employees based upon drug use or impairment. CBD oil is legal in all 50 states as of 2014, though some states have more friendly policies than others. In Iowa, CBD oils can be purchased over the counter. These products are labeled as containing no THC. He points to a case in which a Department of Transportation-regulated truck driver who was familiar with federal drug-testing laws was using CBD oil products and selecting those that were labeled as THC free. The truck driver used the oil and tested positive in a urine drug test. He was fired from his job. The driver had an unopened bottle of the oil he had used. The contents were analyzed, and tests showed significant amounts of THC. “Even though it was labeled as being THC free, that’s not always the case,” Sample says. Sample says those who are subject to drug-testing policies for their jobs should be aware of the possibility of residual THC in those products that are labeled as free of THC. What could change in Iowa? Iowa lawmakers are considering a few bills that could alter the use of medicinal marijuana in the state. The Iowa House of Representatives on March 26 approved House File 732.